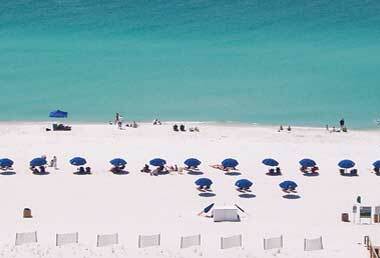 PARKING: We have two reserved parking spaces in the Tower 3 parking deck. We have one unassigned parking space in the outside parking lot. No more than 3 parking passes will be issued and/or outstanding at one time. Should a guest be traveling with more than 3 vehicles, the guest must find other parking arrangements for the additional vehicles. 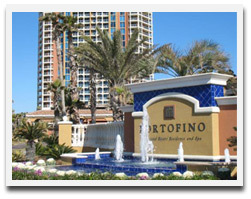 CASHLESS PROPERTY: Portofino is a cashless property. You will be required to leave a credit card at the front desk at the time of check-in. 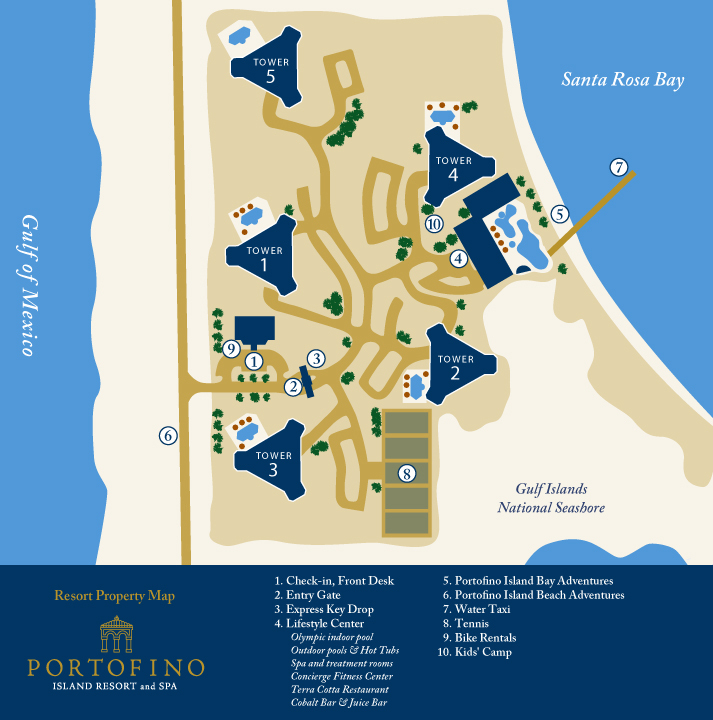 Portofino will issue you a “Passport” card that the guard gate will swipe upon your 1st entry onto the property. 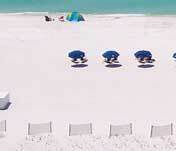 This will validate your passport card and you will use it for any purchases made on the property during your stay. All charges will then be billed to your credit card at time of check-out. RESORT SITE MAPS: Paper copies located at front desk or Concierge Desk. LIFESTYLE CENTER HOURS: Daily 6 am to 10 pm. Absolutely NO coolers allowed. SPA HOURS: Daily 8 am to 8 pm. MOVIES: Complimentry DVD movie rentals are accessed in the lobby of Tower 3. You will be issued a card and instructions at check-in to access this service. GROCERY DELIVERY: The Market (850) 916-7192 small quaint market offering fresh produce, dairy and meats. They are located on the right once you pass through the toll bridge. They also carry a large selection of beer and wine.